Lasagna, one of the most celebrated of the Italian food staples, has a long and luxorious history. 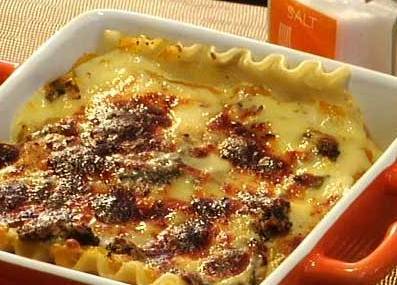 The term "lasagna" comes from the Greek word, "lasagnum," meaning dish or bowl. The early Italians changed the name from "lasagnum," to "lasagna," which is the current form. In modern cooking terms, it now means layers of thin pasta, with meat, cheese, and tomato sauce squeezed in between.